The Glenrothes distillery in Speyside will be opening its doors to the public on Friday 8 May, offering a rare opportunity to discover the secrets of the award winning single malt. 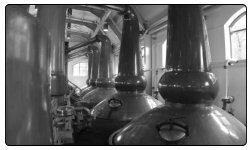 Established in 1879, The Glenrothes has historically been closed to the public. 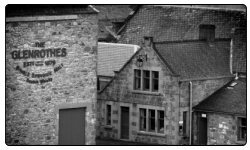 As part of the Speyside Festival celebrations, the distillery will be running two exclusive tours of the distillery in Rothes. Guided by Brand Ambassador Ronnie Cox and Speyside born Eric Jefferson, visitors will be taken on a tour of the distillery as well as the working cooperage on site. The tour will end with a complimentary tasting of The Glenrothes Select Reserve. The Glenrothes Select Reserve is a non-Vintage specific selection carefully chosen by Malt Master John Ramsay and typifies the distillery house character of ripe fruits, citrus, vanilla and hints of spice. The Glenrothes is also available in a limited range of Vintages. Rare and finite, Vintages are selected on their own unique personality and include Vintages 1978, 1985, 1991 and 1994. Tours will take place on Friday 8 May at 9.30am and 10.30am and are free of charge. To book a place please contact Pamela Wils or Sarah Bailey at The BIG Partnership on 0131 555 5522.